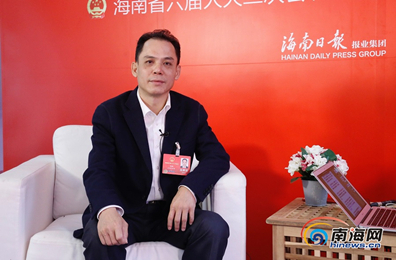 Hu Xiang, the deputy to the Hainan Provincial People’s Congress, vice secretary of the Baisha Li Autonomous County Committee and county magistrate, had an interview with the reporter.He indicated that Baisha would carry out the “ten measures of revitalizing the rubber industry” and construct a characteristic industry demonstration base of alleviating poverty for “one village one brand”. He talked about making e-commerce and finding a market of agriculture productions and said: “Baisha has a lot of mountains, which regarded as the world of mountain, the sea of forest, the source of water and the hometown of cloud. It has the obvious advantages in terms of ecological environment and climate, cultivating a lot of high quality productions.”Baisha would supervise the quality of products, foster the regional public brand of agriculture productions and promote the quality products of Baisha in the next step. In terms of agricultural marketing, Baisha would combine with online and offline, turning supply station of rural productions into the distribution area for agricultural products. We would guarantee the quality of agricultural products and adapt to the bigger market.